Oregon crab fishermen are out on their boats bringing in pots brimming with Dungeness crab. The season started at midnight Sunday. Eugene's Fisherman's Market got its first load of Oregon Dungeness crab Monday afternoon from a boat out of Newport. Owner Ryan Rogers says the crustaceans are plump and tasty. And the shop has been busy. "For us, it's always crab season somewhere. We're always getting crab from Washington, Alaska, California, wherever we need to. But Oregonians are partial to Oregon crab and they've been holding out waiting for that. So we're glad we'll have crab for Christmas this year, for sure." Ryan says some of the fishermen he' spoken with say the crab are not as plentiful as last year. He's concerned the price may go up soon. The season started later than usual-- it typically begins December 1st. Dungeness crab is the most valuable ocean fishery in Oregon. 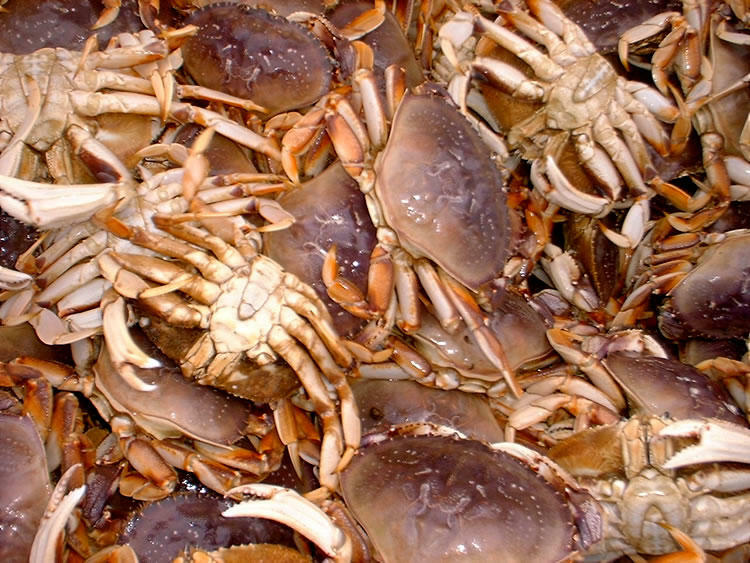 Oregon's Dungeness crab season has been delayed until December 16th. The season normally starts around the first of the month, but the crustaceans don't have enough meat yet. Hugh Link is Executive Director of the Oregon Dungeness Crab Commission. He says it's disappointing to crab fishermen to start the season late.